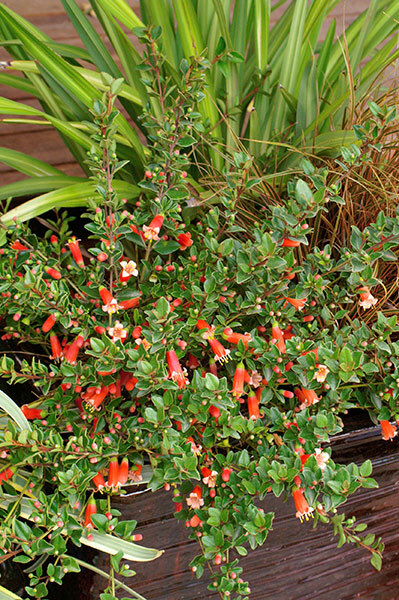 Low growing shrub with glossy evergreen foliage. Prolific display of brilliant orange flowers from autumn through to early spring. 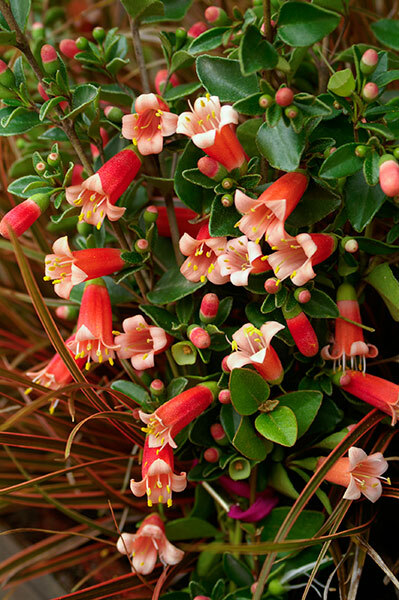 A hardy shrub, easy to grow and frost hardy. Low. Once established, quite dry tolerant requiring only occasional long soak during extended periods of heat. CARE: Plant in most soil types that are well draining. Prune by up to a third of overall size after flowering in spring to maintain a bushy habit. Feed with a slow release, native fertilzer in spring.